Nikolai Rublenko was a high school student and son of devout Christian parents. He lived behind the Iron Curtain. His father was under KGB surveillance for Christian activities. Nikolai was a sincere Christian, an outstanding student and a gifted athlete. He wanted to go to university, become a lawyer and perhaps be able to help struggling Christians. All he had to do was compromise along the way, not mention his faith, and join the Young Pioneers Youth organization. And, one more thing - he would need to cooperate with the authorities by turning in evidence on his father's ministry. 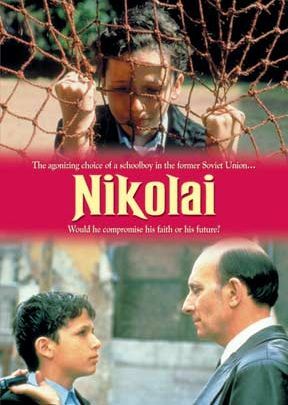 If he did not go along, not only would Nikolai's academic and athletic aspirations be sidetracked, but his entire school class would be penalized. Only Nikolai could decide! 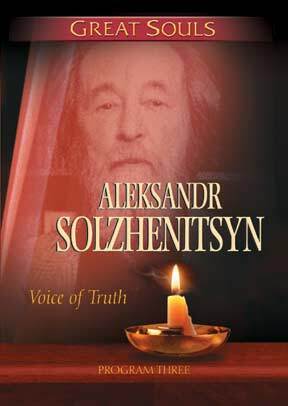 Hailed as the greatest Russian writer of the 20th century, Aleksandr Solzhenitsyn went from avowed Communist to Gulag prisoner and outspoken advocate for the destruction of the Soviet empire. His writings exploded the myth of the Communist ideology and set the stage for the collapse of the Soviet Union. This hour, filmed on location across Russia, features Solzhenitsyn's dramatic journey across conducted at his home in Moscow. With leading historians, friends, and observers, the program follows Solzhenitsyn°s dramatic journey across the turbulent years of Russia°s Communist experiment, and examines his spiritual odyssey that made him the champion of truth.